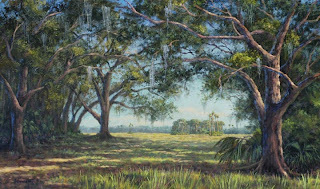 This is another painting fresh off the easel that will be in the Thornebrook Gallery exhibit titled "Southern Exposure". The show/sale opens Friday, February 4, 6 - 9 PM and runs through February26. After many years of painting as a professional artist I have discovered that I am a deadline producer. In other words, the more time I have the less I produce. Although I say I don't like pressure it seems I wait until the last minute to create the paintings needed for a show. When this happens my husband says..."get out of the way Jackie is on a rip!" Of course, while I am on this "rip" nothing else gets done because I am painting night and day. Thank goodness I have a super husband who can and does fix his own meals and does his own wash when needed. Well, gotta go.....a blank canvas is waiting!!!! The new year has begun with shows, festivals and plein air events already scheduled. Adding to that list is a Painting Demonstration for the Ocala Art Group at the Appleton Museum in Ocala and painting classes at VoilART! Gallery. 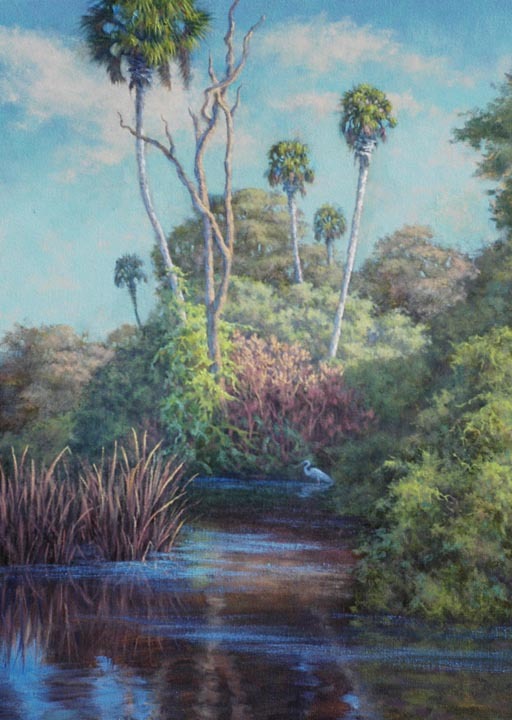 First up is a show at Thornebrook Gallery in the Thornebrook Mall in Gainesville. Gallery owner David Arrighi has invited me along with the well respected landscape artist Dean Gioia to exhibit our new works in a show titled "Southern Exposure". Opening night is Friday, February 4, 6 - 9 pm during the monthly Art Hop. If you can't come by opening night you can see the show through February 26. This is not just an exhibition...you can add any of the paintings to your collection. The painting above will be in the show.